Broadway loves revivals… and so do the millions of theater enthusiasts who experience magic on The Great White Way every year. This November there are plenty to choose from, so talk to your concierge and get your tickets today! If you’re looking for a star-powered revival of a Pulitzer Prize and Tony winning play, Edward Albee’s A Delicate Balance fits the bill. Glenn Close, who returns to the stage for the first time since her 1995 Tony winning performance in Sunset Boulevard, stars alongside legendary actor John Lithgow in a moving family drama that’s been described as beautiful, ferocious, funny and full of theatrical fireworks. The two Hollywood icons play a long-married couple who must maintain their equilibrium over the course of a weekend as they welcome home their 36-year-old daughter following the collapse of her fourth marriage. Previews began last month in preparation for an 11/20 opening. If you’re looking to see one of America’s greatest musical comedies, On the Town tells the story of three wide-eyed sailors on a whirlwind musical tour of the city that never sleeps. With just 24 hours of shore leave, they’re eager to experience all that New York City has to offer, including a chance to discover love with the girl of their dreams. Featuring a musical score by Leonard Bernstein and directed by Tony winner John Rando (Urinetown, A Christmas Story), the iconic musical comedy originally debuted on Broadway in 1944 and was revived in 1971 and 1998. In 1949, it was made into a popular feature film starring Gene Kelly and Frank Sinatra. Don’t miss this youthful and spirited production, fit with the biggest orchestra on Broadway and a 30-member cast of singers and dancers. Another comedy revival taking Broadway by storm is You Can’t Take it With You, starring 2-time Tony Award-winning stage veteran and longtime Hollywood star James Earl Jones as well as Golden Globe nominee Rose Byrne (Neighbors, Bridesmaides) and Tony Award nominee Kristine Nielsen (Vanya and Sonia and Masha and Spike). Originally debuting on Broadway in 1936, the hilarious Pulitzer Prize-winning play features the wacky and eccentric Sycamore family, whose members include a cheerful and unpublished playwright, a basement fireworks manufacturer, an optimistic and klutzy ballerina, a printing press and xylophone enthusiast, and a patriarch who doesn’t pay his taxes. But when the youngest daughter brings her fiancé and his buttoned-up parents over for dinner, that’s when the real fireworks start to fly. Don’t miss this sentimental and extremely funny play that gets at the heart of challenges faced by real people. You may have heard of the legendary Hilton twins, Daisy and Violet, who were conjoined since birth and became the highest paid performers on the vaudeville circuit in the 1930’s. 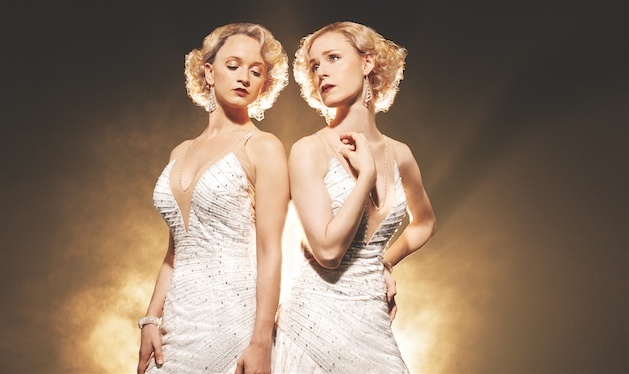 Inspired by that remarkably true story, Side Show is a revival of the 1997 Broadway musical that received four Tony nominations and marked the only time in Tony history where two people were co-nominated for the Best Actress award. A revival from the Academy Award-winning writer of Chicago and the Grammy-winning composer of Dreamgirls, the musical follows the girls as they grow from a circus attraction to famous stage performers. This new staging follows their heartwarming search for first love and acceptance amidst the spectacle of fame and scrutiny under the spotlight. Previews began 10/28 for an 11/17 opening.